This is a really delicious Malaysian curry and noodle dish. Heat oil in a wok over medium-high heat. Season chicken, then stir-fry, in batches, for 3-4 minutes until just golden. Remove chicken from wok and set aside. Add laksa paste and stir-fry for 1 minute until fragrant. Return the chicken and add the stock, coconut milk and 1/2 cup (125ml) water. Bring to the boil, reduce heat to medium-low and simmer for 10 minutes until chicken is cooked. Stir in sugar, fish sauce and lime juice to taste. Meanwhile, if using quail eggs, place in a saucepan and cover with cold water. Bring to the boil over high heat and cook for 3-4 minutes until hard-boiled. Rinse under cold water, then peel, halve and set aside. Cook the noodles according to packet instructions, then drain and divide among 4 serving bowls. 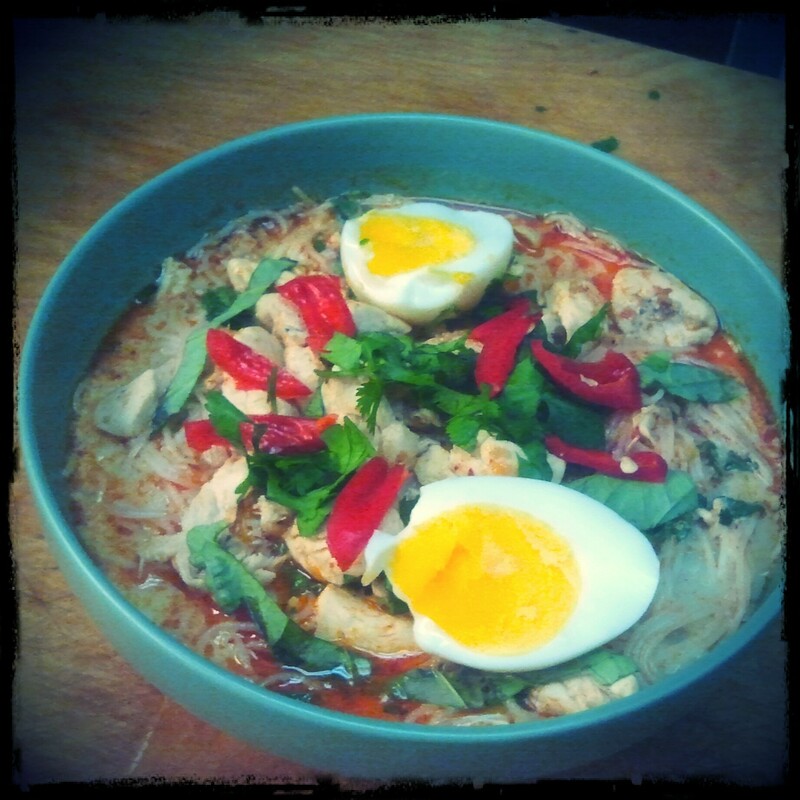 Ladle over laksa and top with the bean sprouts, Thai basil, coriander, quail egg, shallot and chilli.